As you all know, I have been working on building my Teacher Wardrobe. Finding what works for my new lifestyle of bending over to pick up dropped pencils, reaching up to write on the white board, standing on my feet all day, all the while trying to not expose too much around a classroom of 12 year olds. This means no low necklines, saying good-bye high hems, & avoiding straps that aren't wide enough to hide my bra/under garments. I have purchased things from Shabby Apple before (like my fun tulle skirt! ), but now I am perusing their website with a new filter - stylish workwear that keeps me comfortable & polished all day! And while this is a little thing - I adore that they show their styles on women wearing mostly flats. I try to bust out my comfiest pairs of heels once or twice a week, but I will mostly be wearing any of my work clothes with flats - so I appreciate seeing them styled that way. 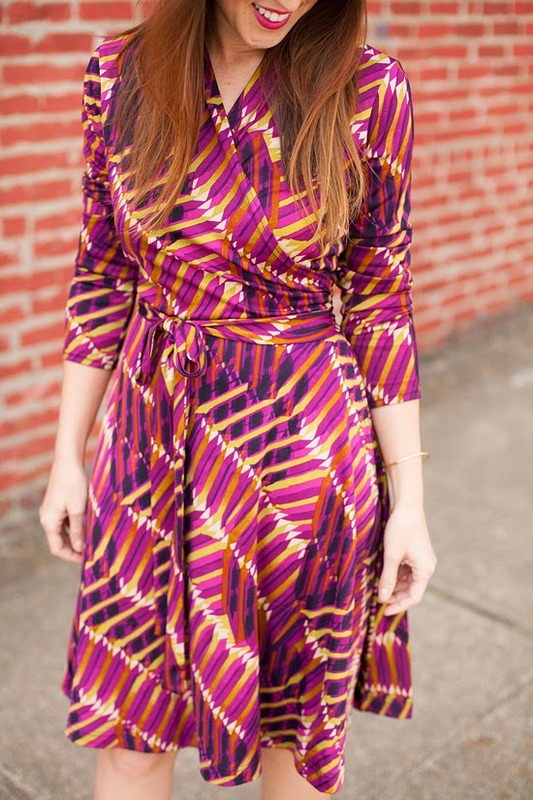 I am currently in a wrap dress phase of my life & instantly fell in love with the fun colors & print on this one from Shabby Apple! I wore it with black flats for work (even got a compliment from our rockstar principal!) & then will heels and my weekend hat for Saturday adventures around Nashville. This dress has earned a front row spot in my closet! What pieces have been the major players in your work week style? And be sure to check out my Teacher Style Pinterest Board with lots of stylish teacher outfit inspiration! this dress was gifted to me by Shabby Apple, but all reviews/opinions are my own. I have a Shabby Apple tulle skirt too! Even though I don't think I will ever wear it again I still have it just to smile at the idea that I COULD wear it anytime that I want. Shabby Apple has so many great dress. A wrap dress is a good choice, works for every body dress too! I wear dresses and skirts for special occasions at my work. Usually it's jeans and t-shirts as I have to move around a lot and most people dress casually, so I blend in. I love this dress. 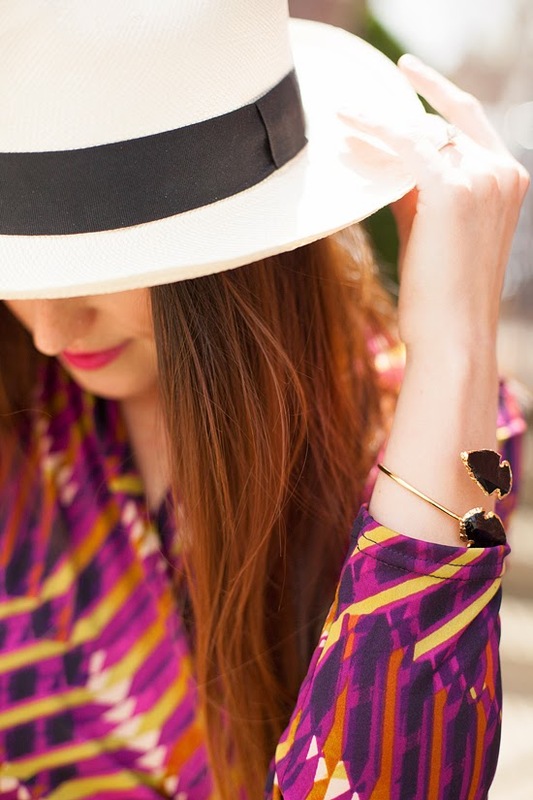 The colours are so bright, and wrap dresses are always a classic wardrobe staple! I'm loving this dress! I'm about to start a new job actually leaving a school and going to an outpatient clinic, but I have no idea what I'll wear! My job gets pretty messy (think: paint, glue, shaving cream) so I don't want to ruin my good stuff, but I had to wear an organization t-shirt everyday at my old job so I'm starting from square one! 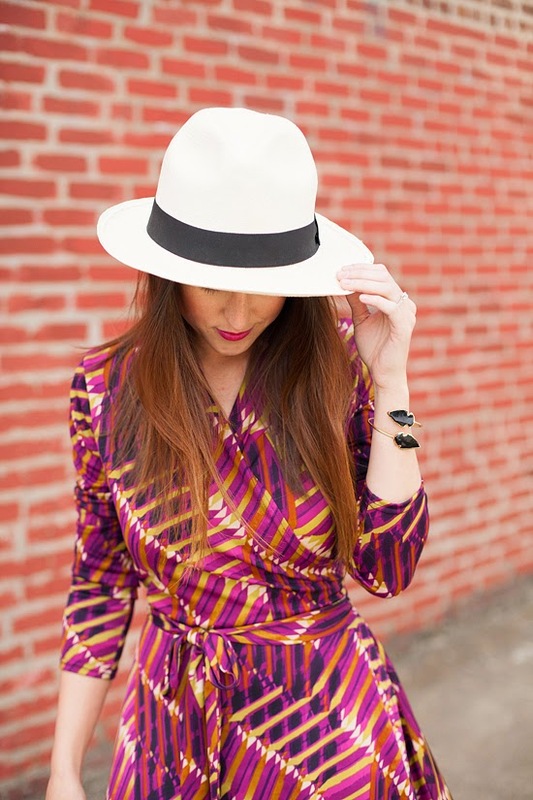 I love this wrap dress - the print and colors are perfect! you look SO pretty. love u in hats! xO!